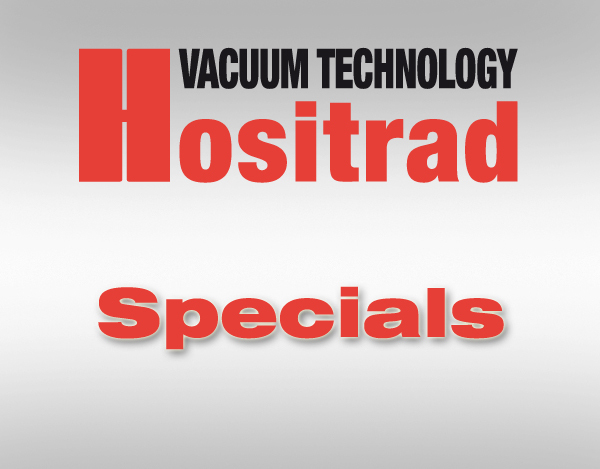 Custom Vacuum Chambers - Hositrad Holland B.V.
Guaranteed to Meet Your Special Requirements. 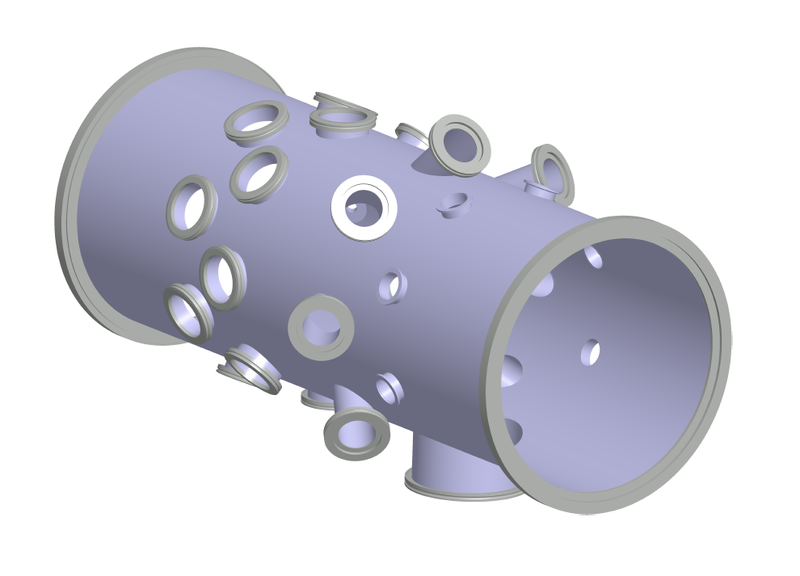 We can assist you with chamber concept, application, engineering, and design. 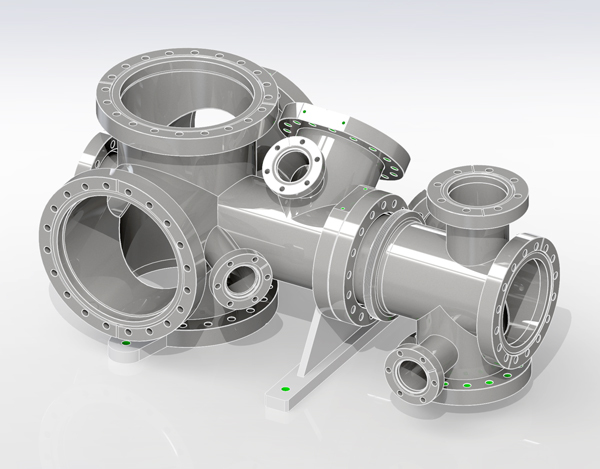 We work from your rough sketches, and prepare complete production drawings on our 3D CAD system using the latest version of SolidWorks. 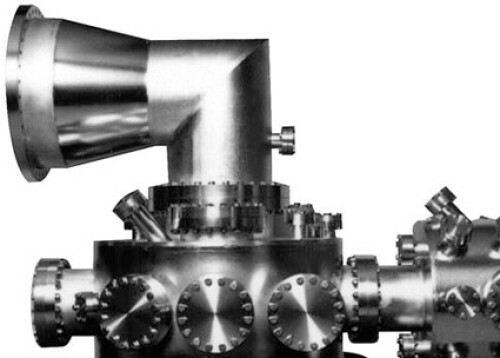 The cheapest chamber may not be the least expensive. To insure you receive exactly what you need, we provide you with complete production drawings for your review and written approval, before fabrication begins. Whichever vendor you choose, we strongly recommend production prints be sent to you for final approval prior to manufacturing. Approved prints minimize the possibility of design and/or manufacturing errors. Complete Production Drawings -- Prepared and Submitted for Customer -- Approval Before Fabrication Starts. 2 x 10-10 mbar l/s. A certificate of compliance is supplied. *Port alignment accurate within ±1°. 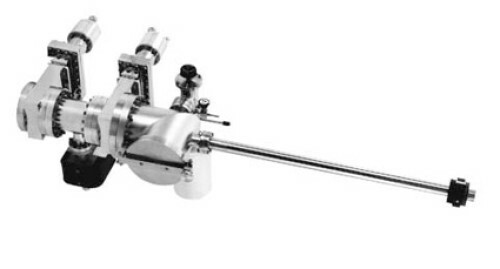 *Fabricated from type 304(L) stainless steel. Options for 316L or 316LN (ESR). *Only sulfur-free water-soluble oils used in machining parts. *Internal or full penetration welds made by TIG welding. *Cleaned, wrapped and packaged for installation upon receipt by the customer. employed to achieve specified pressure. *RGA partial pressure analysis < 10-13 mbar from 0 to 200 AMU. *Choice of materials used in fabrication. 316L, 316LN(ESR), Alumimum, Titanium, etc. chemical removal of carbon and/or hydrogen from the surface.